The measurement and control of flow can be said to be the very heart of process industries. Continuously operating process industries involves the movement of raw materials, Product and waste throughout the process. It requires various measurements of flow. Measuring fluid flow is one of the most important aspects of process control. Based on the type of flow measurement, Flow meters can be primarily classified into two mass flow meter and volume flow meter. 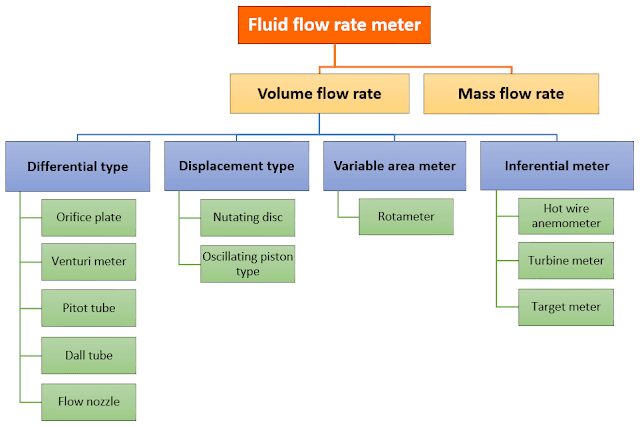 The following figure shows a schematic diagram types of fluid flow rate meters. 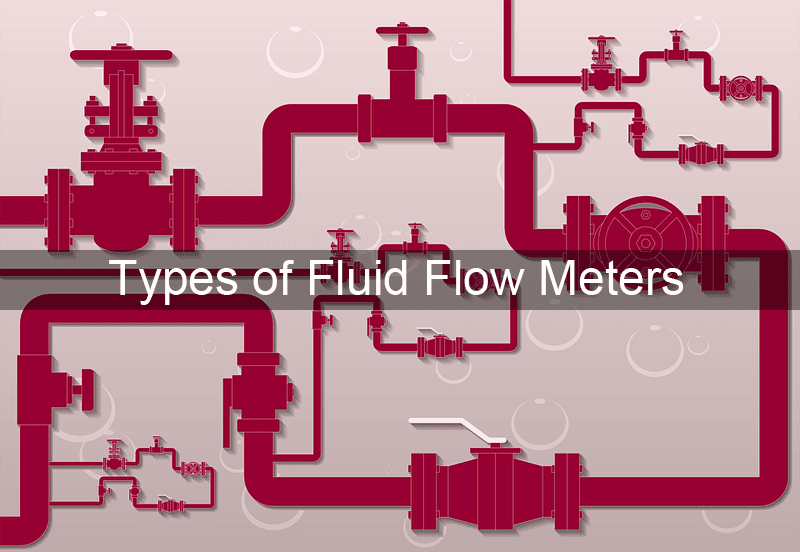 In general, flow meters are classified into mechanical and electrical. Mechanical flow meter relies on the arrangement of moving parts within the flow path. They may be the positive displacement meter or turbine meter. The electric effect when a liquid is moving through a magnetic field. The frequency of turbine connected in the flow path. Change in velocity of sound and change in resistance of an element when they are placed in the flow path. Repeatability, Reliability, response time, etc. Accuracy- it comprises linearity, response and calibration factors. Types of fluid and its flow. For example magnetic type flow meter not suitable for flow rate measurement of non-conducting liquid. Differential pressure head meters not suitable for laminar flow. Installation factors such as line size, orientation, flow direction. Environmental factors - ambient temperature, electrical interference.